I’m always shocked when I leave the grocery store because it seems to add up to much more than I expect – and I’m not sure how that happens! Whether you’re shopping for a large family or it’s just you, there are some tricks when it comes to saving on groceries – putting them into practice is where it’s at. 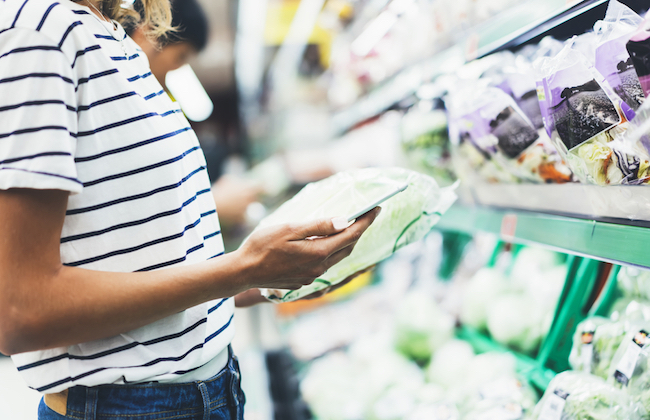 No matter where you live or what you’re shopping for, the high cost of groceries is a universal issue – let’s take a look at a few ways to start saving, today. Make a change of grocery store. Sometimes all it takes a little change to see that where you’re shopping has prices that are through the roof. Branch out to different grocery stores in your area and do a little comparison shopping – you’ll probably be pretty amazed. Take it one step further and buy specific items at certain stores. It turns out some things may be cheaper at one store, but other items are more expensive. If you’re able to make the time to shop at more than one grocery store, try buying where the items are priced the best. Perhaps you buy meat and poultry at one store, but you head to another store for fruits and veggies. It’s all about learning the lay of the land and figuring out where you can get the best deal. Go for generic brands. Many times we’re sold on fancy logos and packaging – that’s called good marketing! But, as it turns out – the generic names are often just as great and taste the same – sometimes even better. Get to know the store brands and figure out which products you like in their generic or “store” form. It may not be everything, but if you can scale back in some areas, you’ll start saving right away. Buy in bulk. This may not be feasible for everyone, especially if you’re only shopping for one person, but buying in bulk is a great way to save. Stores like Costco are great for this – you can load up on necessities like toilet tissue, paper towels, and dry goods at a lower unit price than you’d see in the more mainstream grocery store. Consider purchasing things like garbage bags, dishwasher detergent, and clothing detergent all in bulk to start saving asap. It will feel like you’re spending a lot up front, but the products are less expensive in the long run. Try couponing. This may not be for everyone, but some people enjoy getting into couponing! You never know what you’ll find out there. You may need to be willing to stock up on products you don’t need in that exact moment (so there’s a bit of thinking ahead required), but if you know what you like, you’ll know what to watch out for. Coupons can actually be to your advantage, especially when you’re using them regularly – but it takes some time and practice to get the hang of it. Are you ready to make a change and start saving while grocery shopping? Which of these ideas can you put into action? Let me know down in the comments.